Contact Us Now for a Free, No-Hassle Consultation! Or Stop by our Showroom! 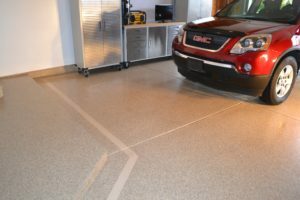 We provide professional-grade garage flooring and epoxy floor systems for residential applications. 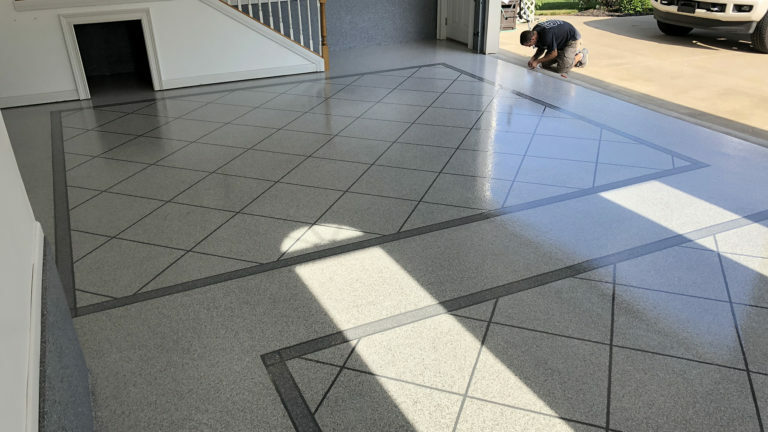 Our impermeable coatings are long-lasting and easy-to-clean, and come in a variety of different finishes including: Decorative Flake, Metallic, Marble, Faux Tile, and we can do custom details such as Borders and Striping. 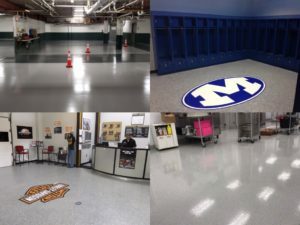 In addition to garage floors, our epoxy floor systems are perfect for Basements, Rec-Rooms, Home Gyms, and more! We can make your garage into more than just a place to park your car, and store toys and tools. With our custom storage solutions, your garage will become an extension of your home. Whether you are looking for more storage, the ultimate man cave, or just extra space to play – GFC offers complete storage solutions to ensure everything has a space. 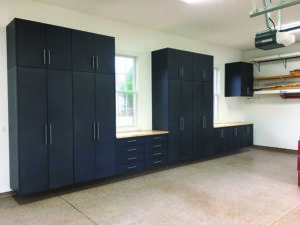 We install custom designed cabinets that are fully enclosed and feature a 500lb weight capacity, soft-close hinges, and are mounted 6” off the floor. With lots of color options for doors, drawers, and work tops – you can match your home’s style, or make a bold statement! We have personally experienced the increased functionality of a custom organizational system in our closets and pantries, and we are proud to offer the same solutions for you and your family. 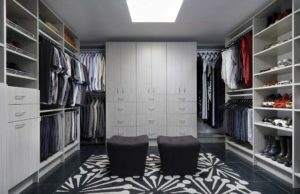 Custom closet solutions maximize your storage and create a beautiful space for all of your belongings. GFC is highly experienced in commercial and industrial concrete coating projects. We have installed impermeable concrete coatings in a variety of public buildings and private businesses, including restaurants, churches, manufacturing plants, warehouses, veterinary clinics, parking garages, fire houses and more. GFC offers a variety of decorative concrete options to suit any application! Get a Free, No-Hassle Consultation Now!